During June we saw a few hot days (3 over 30°C), some colder ones (3 less than 18°C) and a whole lot of average ones. However, continuing the trend for the last few years the nighttime lows were much warmer putting the overall temperature just over 1 degree above average. 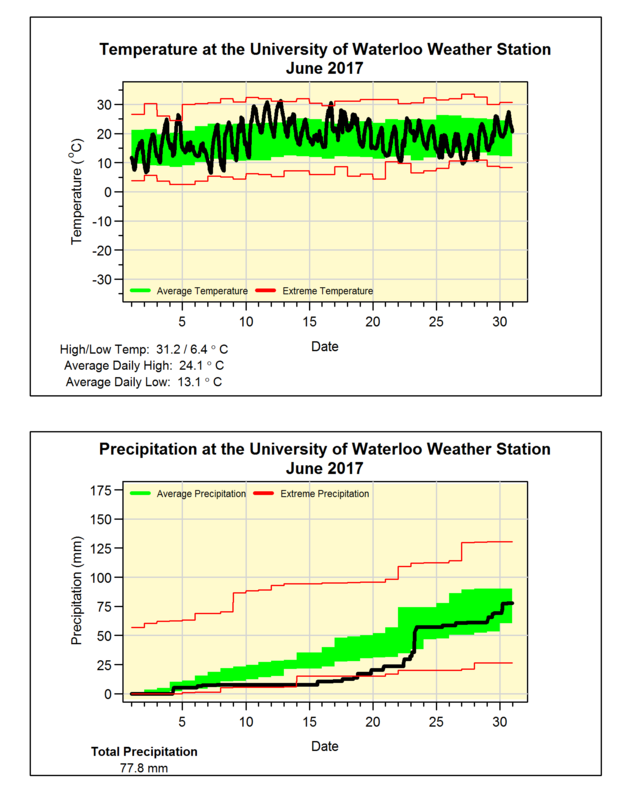 Although the last week was really wet, it was actually quite dry to start off the month. So the rain at the end of the month only managed to get the total for the month of 77.8 mm close to but still a bit below the average of 82.4 mm. Looking at the first half of the year, the total precipitation of 617.8 mm is the second wettest first 6 months of the year, only coming behind 1947 when there was 624.8 mm.